Two IIUM lifeguards successfully brought swimming skills at international level “Ocean man Open Water Swim” held at Klong Muang beach in Krabi, Thailand recently. The first Thailand International Open Water Race held on 14 October was open for swimmers around the world intended to give an opportunity for participants to finish swimming within allocated time through five modes of categories. 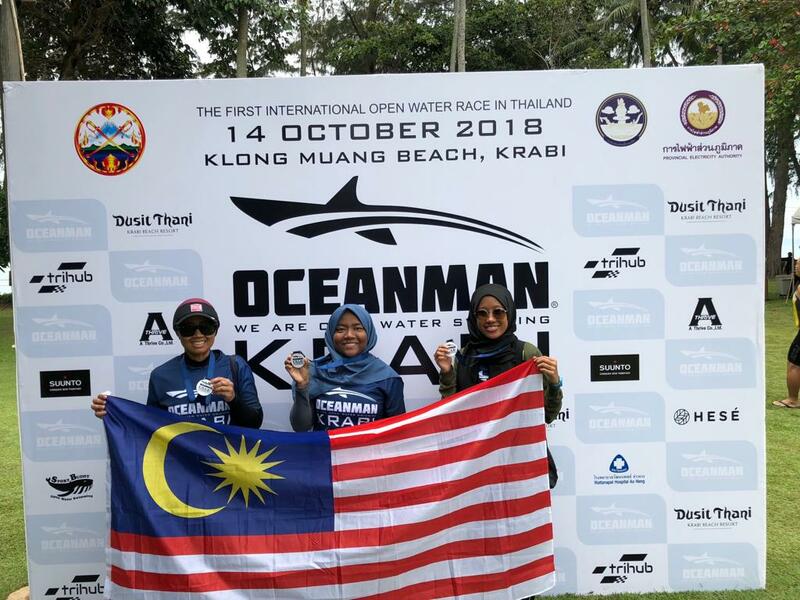 “It was an honour to became one of the Malaysian swimmers in the open water swimming held in Thailand,” expressed Hajar Alyani Che Razak, from Ahmad Ibrahim Kuliyyah of Law (AIKOL). 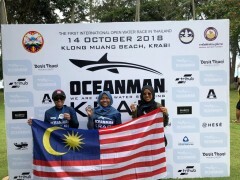 She was among the finishers for the sprint category which comprised distances of between 1 and 2 km, praised Khairiyah Abdul Rahman, her swimthon mate, one of the Oceanman category swimmers who inspired her to join the event. “I would like to try more challenges in swimming race such as in the ocean, besides my swimathon-mate also encouraged me a lot to join as participant,” Hajar Alyani added. Participants must be fit and in good health, and have to undergo necessary training for the distance preferred. This was among the competition rules set by the organiser. Asked about her preparation for the race, Hajar Alyani admitted that she spent at least three times a week of training in the pool for stroke correction, endurance and strength enhancement.